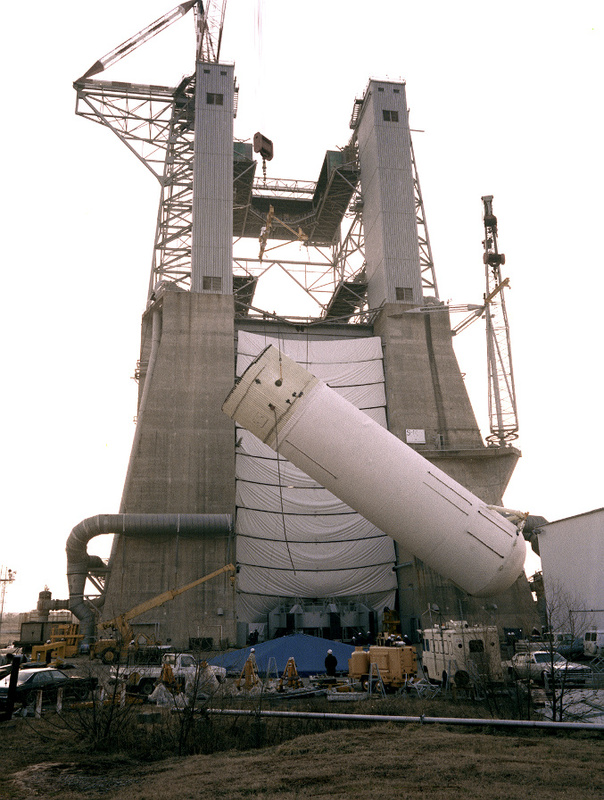 Building 4658 is the blower facility, added to the S-IC Test Stand infrastructure in 1975, to provide ventilation to help dissipate any hydrogen gas buildup when the stand was used in the Shuttle era, for external tank and Space Shuttle Main Engine testing. 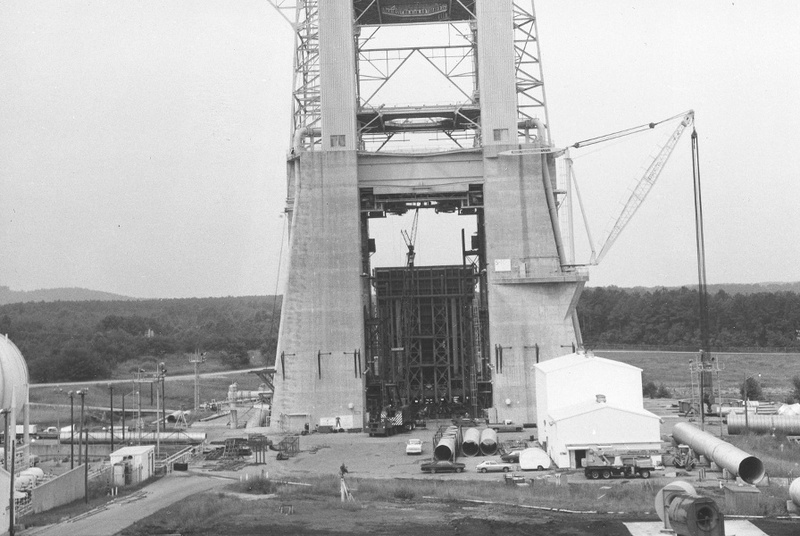 The S-IC Test Stand was built to test-fire stages with LOX/RP-1 engines, and thus did not initially require this ventilation function. From Appendix A page 101 (p. 256 of the PDF) of the Historic Assessment of Marshall Space Flight Center . 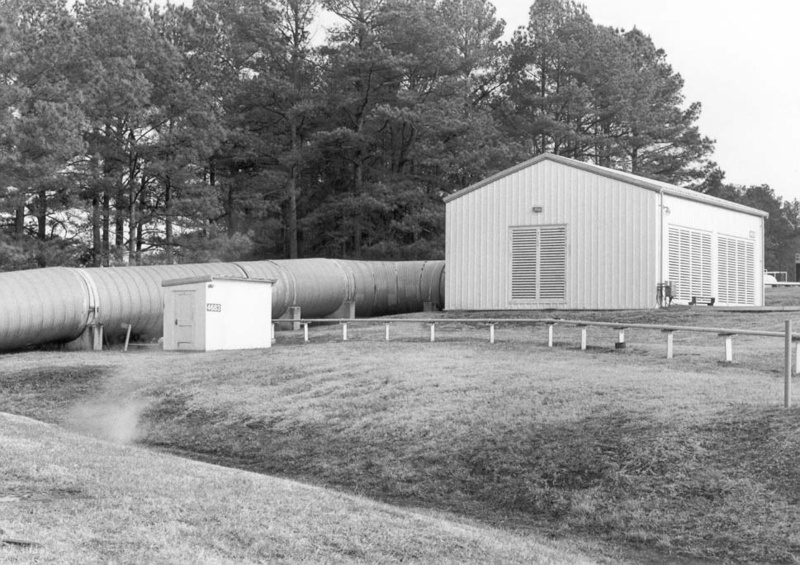 Two large blowers inside the building directed air to the test stand through a large-diameter duct, where it met the stand at the northeast pedestal, splitting into slightly smaller ducts to carry the air along the north face to the northwest pedestal and along the east face of the stand to the southeast pedestal, where it split again to carry the air to the southwest pedestal. The Historic Assessment of Marshall Space Flight Center notes in one section that Building 4658 was "[p]reviously existing with identical building number: Guided Missile Test Facility Guard House (1966) / Guard House (1959) / Metal Decontamination Inc (1957) (Building 4658; T-4658; T-458)," but in another section says that the guard house was "replaced by blower facility in 1977," leaving the question to whether the existing building was replaced, or whether it was merely renovated and refitted. 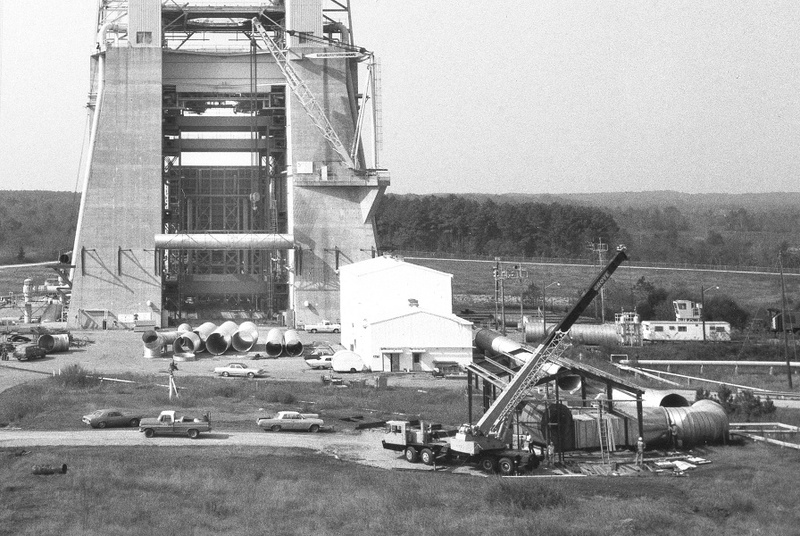 However, some S-IC test stand modification photos also capture construction of the blower facility. It appears that the old Building 4658 must have been razed, because these photos show new construction for the current Building 4658. Additionally, these photos show building construction underway as early as 1975. In this photo, ductwork can be seen staged around the base of the S-IC Test Stand, and at the lower right some of the ductwork which runs between the blower facility and the test stand has already been emplaced. Note the two blowers at the extreme bottom of the photo (the bottom-most one partially cut off). Click image to open this image's page at MSFC's Image Exchange in a new window. Three months later, we see that part of a duct has been mounted on the test stand, with additional ductwork waiting installation in front of the stand (note the varying diameter of the ducts). At the blower facility itself, an "elbow" piece of duct has been fitted to the blowers and frame of the building has been erected.